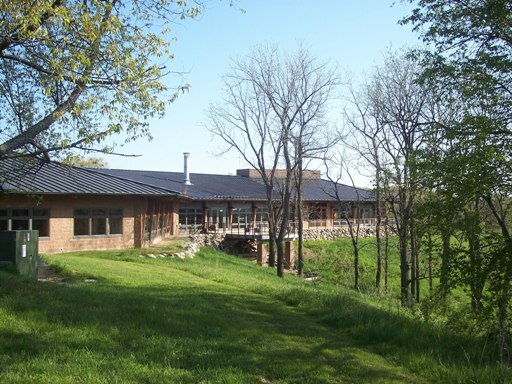 Michigan Bluebird Society - Experiencing The Joy Of Bluebirds! WELCOME TO THE MICHIGAN BLUEBIRD SOCIETY! 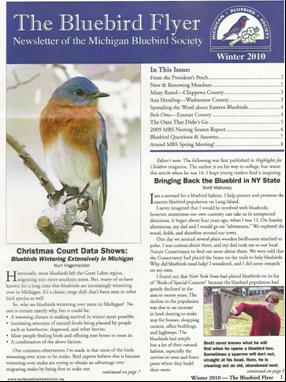 The Michigan Bluebird Society is a group of individuals dedicated to helping bluebirds and other native cavity nesting bird species in the state of Michigan. 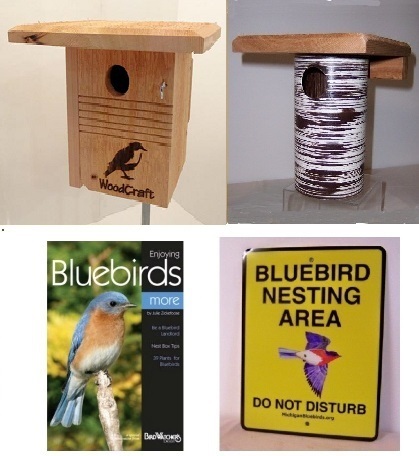 We are a 501(c)(3) non-profit organization and an affiliate of the North American Bluebird Society. Because of habitat loss, environmental pollution, and competition of non-native bird species (House Sparrows and European Starlings), bluebirds have suffered large declines compared to their original numbers. 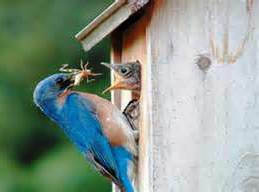 However, bluebirds have been shown to thrive in areas where there is human-provided housing that is actively monitored. As a result, through the efforts of many people, bluebirds have increased in numbers in the last 10 years. Putting up a nest box is the easiest and most important thing you can do. 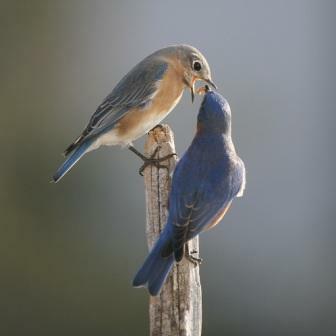 Not only are you helping bluebirds to populate, but watching a pair of adults build a nest, lay eggs, and feed their young is one of the most enjoyable and rewarding things you will ever experience. 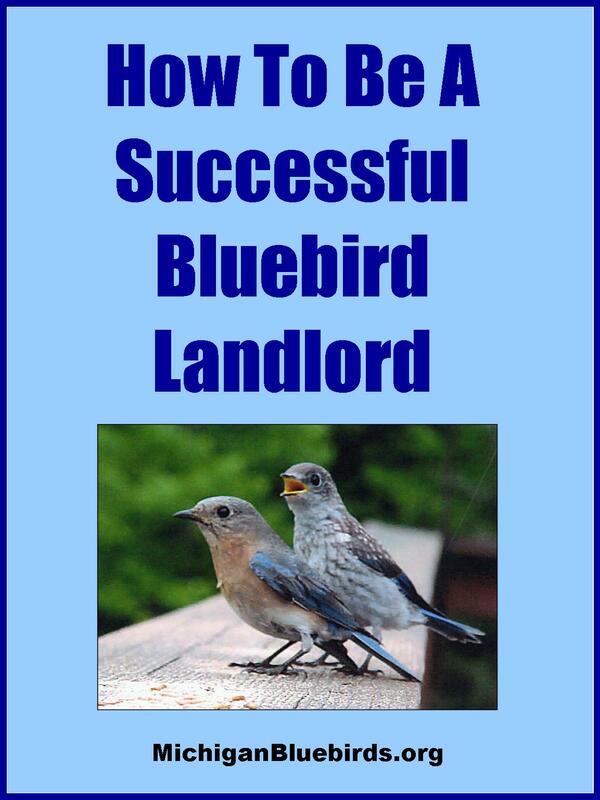 Just ask any bluebird landlord - you'll be hooked and changed forever! 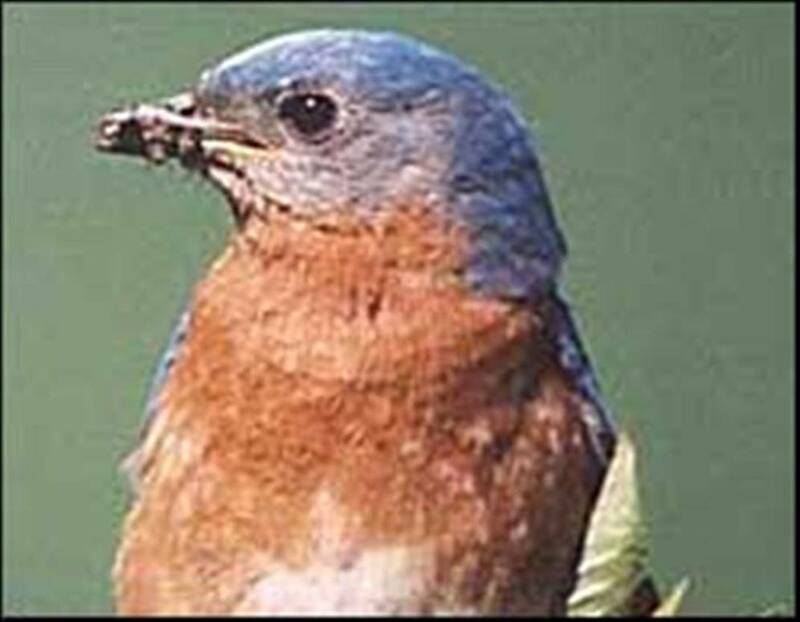 The Michigan Bluebird Society is an affiliate of the North American Bluebird Society. NESTING SEASON IS ALMOST HERE! Everyone is ready for Spring. The bluebirds are starting to scope out boxes looking for the best one to build their nests in. 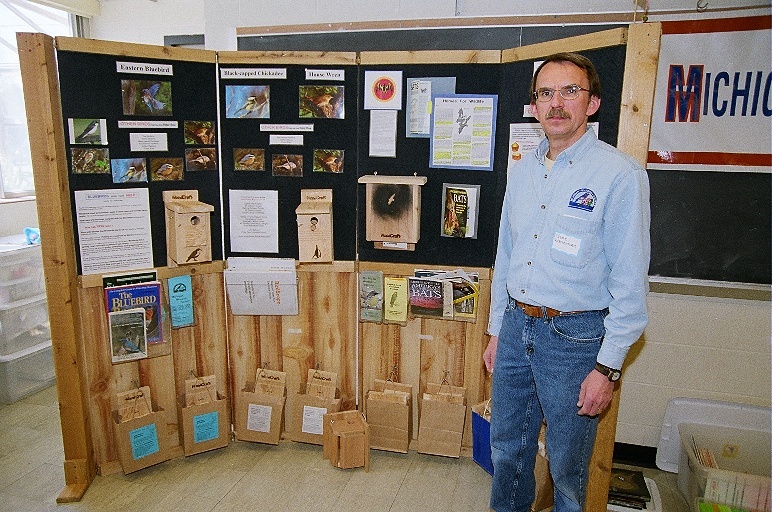 If you took your nest boxes down for the Winter, now is the time to put them back up. If you left them out for the Winter, you should check to make sure they are cleaned out. Many birds will use them for Winter shelter, so you may need to do a little cleaning to save Mrs Blue some time. And as you have probably noticed, the sparrows are already guarding boxes and have started nests. Be vigilant in trying to deter them from using the boxes. Sparrow traps work well, but you do have to closely monitor the boxes if you install a trap. You do not want to trap a bluebird in a box and leave it there for a long time. That might scare them away. We also offer a Sparrow Chaser and Sparrow Shield on our store page which users say work well. They are both easy installed and come with complete instructions to install them. Both need to be installed prior to sparrows claiming a box to be effective. Continue to offer meal worms for the Bluebirds to eat. With the on again, off again cold weather bugs are not very plentiful. Remember that Bluebirds need water all year. Putting out a heated birdbath would be a big help for them. Check at stores that carry bird feeding supplies. As always please don't hesitate to contact MBS with any questions or problems you might have. We are available to assist you in your bluebirding efforts. To find a County Coordinator near you or for a general contact at the MBS, please go to Contact Us.